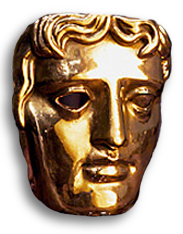 News > DotDigital At The BAFTAs! However, Ben Bishop stands out with his chosen endeavour, not only because it’s essentially his true career calling, but also because of the success he’s experienced to date. You see, Ben’s an actor; a BAFTA-nominated actor (and ex UK BMX champion)! In his career, he’s done it all, working with some of the greats including Terence Stamp and John Hurt and strutting his stuff at Shakespeare’s Globe, just down the road from our London Bridge office. In light of thriving career, we wanted to profile his good work on the stage in tribute to the great work he does in our offices week-in, week-out. “It’s 2008 and I’m sat on a train going to a meeting at Shakespeare’s Globe for the new season. Whilst sat there reading the script, I find myself suddenly poked in the ribs by a young, handsome chap, with devilish looks and a cheeky smile that asks to see my ticket. And that’s when dotMailer founding Director and all round legend Tink Taylor sits down in front of me. “Tink had been a friend of a friend for years. We got chatting and he began to tell me all about the success of dotMailer and how the company was looking for someone to book demos for the sales team. “Being an actor the only way to survive is by doing many jobs in between doing what you love, so over the years I’ve gathered my fair share of experience on the phones. He suggested I come in for an interview and the rest, as they say, is history! “After a decade as a struggling actor and having around 18 other jobs such as gardening, charity fundraising (a high street chugger) pizza chef, washer uper, telesalesman and van driver to my name, I had found somewhere I could do some great work without compromising on my dream. “I owe a lot to dotMailer. In the last two years, my acting career has stormed forward and I’ve been allowed to attend all acting meetings and filming obligations. What’s more, the team is always interested in what I’m up to and watch (or claim to watch!) everything I’m in. It’s really great having people like Ben on board and he’s a great spokesperson for the inclusive and friendly culture we’ve tried to develop here at dotDigital. We’re always on the look out for the best talent; so if you think you like the sound of working for us, give us a shout. See our recruitment page for more info, we are always looking for new people from UX designers and product developers, Sales people, Support and client services. Whatever your forte, we need you!